Summary: Some sixteen-year-olds babysit for extra cash. Some work at the Gap. Becca Williamson breaks up couples. My Thoughts: It took me a little while to get into this one, but once I did I discovered a truly sweet and cute story! 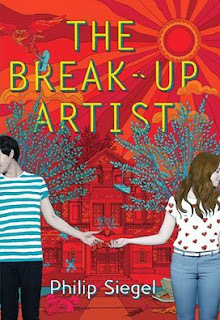 We are introduced to Becca who is your typical teenager except when she’s the breakup artist. Yep, you read that right. She breaks couples up for money. $100 through paypal to be exact. She’s broken up multiple couples and nobody know who she is. All they know is she is good! Becca is kind of cynical. She watched her older sister Diane go through a horrible breakup and it stuck with Becca. She’s ok with breaking people up, if its for the greater good. Becca has a best friend named Val. She also has an old friend named Huxley. They don’t get along so well now. Things changed between them. Huxley is now part of a popular couple and she wants to stay this way. Until Becca gets a new mission. To break up Huxley and her boyfriend. Becca figures she has it coming. And the person who hired her! Wow! And if this isn’t enough stress, Val also gets a new guy. Becca forms a bond with him and she sees herself having feelings for him. I never did really like him. Something about him just threw me off. I don’t know. I really enjoyed this one. It had a lot of drama but also really deep but fun characters. Becca was very likable. She was funny yet I understood her almost all of the time. I liked all the side characters. I liked the plot and how things went down. I thought this was a cute novel. It took me a while to really get into it, because of all the drama and typical high school scenario. Overall: This was a cute one! Even though there were a lot of deeper meanings throughout this one, it will still cute. I liked Becca’s personality and how she dealt with things. 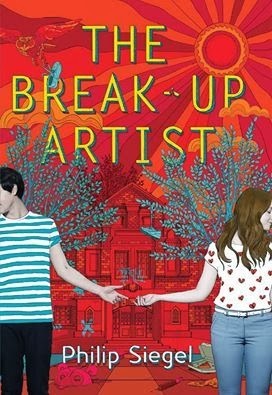 I liked the break up artist and I’d probably hire her! And the last few pages, so funny and priceless. Cover: Its cute. Its eye catching enough to pick it up without it being overly cutesy or tacky. I have eyed this one and have really enjoyed cute books lately! I will have to check this out!